The Nigerian Communications Commission (NCC) on Thursday opened new spectrum bands, saying the bands would help to achieve 30 per cent broadband penetration by 2018. The Executive Vice-Chairman of the NCC, Prof. Umar Danbatta, disclosed this at the opening of the facility at a forum on licensing of 38GHz, 42GHz and re-planning of 23GHz bands in Lagos. The Vice-Chairman said that the growth in broadband traffic is on the increase and additional spectrum resources will be required to avoid network challenges. Danbatta said the emerging trend in the telecommunications market in the country is broadband, which will certainly require massive deployment of critical infrastructure. According to him, if the commission is to achieve the set target of government of 30 per cent broadband penetration by the year 2018, it will have to embark on that deployment. “The new bands will reduce pressure on existing microwave, improve all forms of services like broadband, data and congestion minimization, which will increase quality of service,” he said. The executive vice-chairman noted that the opening of the 38 and 42GHz bands for use in Nigeria and the re-planning of the 23GHz microwave spectrum band was a measure to curb impending challenges. Danbatta said that currently, radio spectrum in the 38 and 42GHz bands were yet to be opened, adding that as such, the channeling would be reviewed to meet the requirement for higher throughput. He listed the benefits of licensing the band to include addressing growing demands by operators for spectrum for high speed and high capacity links for data centre services. Dambatta said the initiative would also assist the commission’s drive for National Broadband Wireless Access initiative and reduce pressure and management challenges, experienced with the traditional microwave frequency bands. 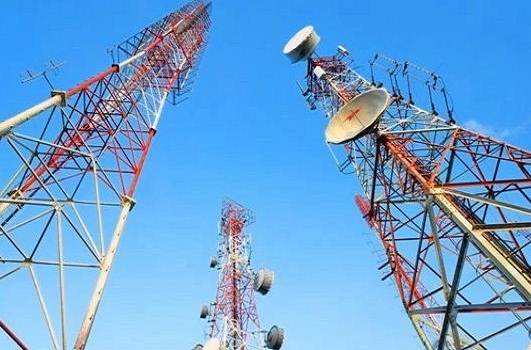 The Deputy Director, Spectrum Administration of the NCC, Mr Oluwatoyin Asaju, said that opening of new spectrum band would boost access to high-speed internet services for telecom consumers in Nigeria. He said the regulatory moves were in line with international best practices and the NCC’s decision to accelerate the achievement of deepening broadband penetration. Asaju, who said that the timeline for stakeholders to get back to the commission with their feedback was between three to six months, urged them to comply before the take-off of the scheme. He said the licensing option would be in an administrative method of first come, first served of three categories: licence spectrum, light licensing and licence exempt. The deputy director added that the migration from 7MHz to 28MHz was to enhance technical performance and quality of the band. Added that the switch-over date is slated for May 30 next year.